Facebook finally launched its native app for Apple’s iPad on Monday, but the ironic, bigger story is wider support for web technologies as Facebook tries to be everywhere on every device. The company shared news with developers on its blog explaining how social app discovery using HTML5 can reap greater engagement as Facebook users can find and run mobile apps in a modern mobile browser. [We are] extending Facebook Platform on mobile, bringing all the social channels that have helped apps and games reach hundreds of millions of users on the Web to mobile apps and websites. You can now easily reach the 350 million people who use Facebook every month on a mobile device, including iPad, iPhone, iPod touch, and our mobile web site. We are at the beginning of bringing Facebook Platform apps to mobile. The features we are launching today are still under development. They will evolve as we learn more about building richer social experiences on mobile devices. In addition, we will extend our native support for more mobile platforms such as Android in the near future. With the changes, an app bookmark is automatically added to the web-based Facebook app when a user interacts with a mobile app; increasing the odds of re-engagement in the future. The updated requests feature now includes invites to mobile apps and games from friends. And the news feed now includes the use of mobile apps, complete with a link so that friends can tap and see the app for themselves. A new store of about a dozen web apps is also available today and corresponds to the news not just on support for mobile apps, but ways to promote them. In the browser on my Android (s goog) device, I hit the app directory at http://fb.me/mobileappshowcase where I played a hand of poker with others on Facebook. The app appeared like a native version; if someone showed it to me, I never would have guessed I was in a browser. 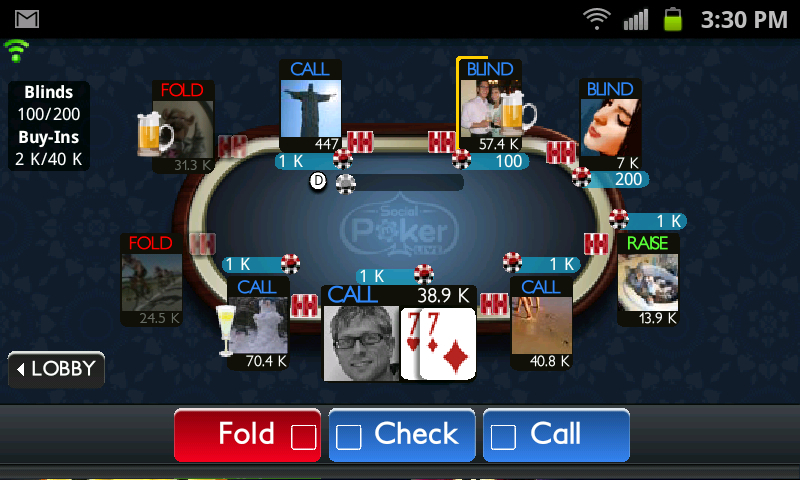 And later, I checked the web version of Facebook and found a bookmark to the poker app. I’m likely to play more as a result. So while a long-awaited iOS(s aapl) version of Facebook debuts today, in my opinion, the long-term growth of Facebook is more likely to come from the continued use of web technologies which provide a relatively common code base across platforms and similar user experience across devices. I guess we’ll have a lot to look forward to when it comes to HTML5; Some people love it and some don’t. But I guess, it can make things much simpler on the developer’s side..